Adi Da Samraj, a spiritual master, writer, and artist of international renown, passed away in his hermitage in Fiji, on November 27, 2008 of natural causes. He was 69 years old. He founded an entirely new way of spiritual practice, to which he gave the name “Adidam“. Adi Da was a prolific writer and artist with over sixty published books and hundreds of thousands of works of art. The book that Adi Da designated as his most important work is The Aletheon, which he worked on intensively for the final two years of his earthly incarnation, bringing all of his most essential spiritual and philosophical communications into a final form. He completed his work on The Aletheon on the morning of his passing. 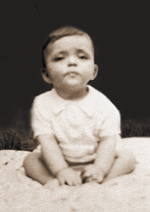 From his birth (on Long Island, New York, in 1939), Adi Da manifested unique signs of spiritual illumination. He described his early years as being focused in two fundamental activities. His first focus was to discover the process by which any human being can realize the Truth of “Reality Itself”. His second focus was to develop his own ability to communicate the Truth of “Reality Itself”–through verbal means and also through artistic means. Anuradha Bhosale is a highly cherished hero to thousands of impoverished children and their families. Ms Bhosale is a renowned grassroots women’s rights and anti-child labor activist based in Kolhapur, India where more than 35,000 children are involved in daily labor for local industries. A former child-laborer herself at the age of six, she has spent the past 20 years fighting for the prevention of child exploitation, labor, trafficking, and female infanticide. Owning to her heroism and accomplishments Anuradha has been called the ‘Bandit Queen of India’s Social Movement’, likened to India’s legendary ‘Bandit Queen’, Phoolan Devi who went from ordinary village woman to seasoned bandit of northern India and finally an elected member of Indian Parliament before being gunned down by unknown assassins. As founder of the WCRC (Women and Child Rights Campaign), Anuradha has educated, trained and empowered thousands of widowed, divorced and deprived women in the rural areas of India to stand up and fight for their rights as allowed by the Indian constitution. 52,000 of them now receive some $714,000 in monthly government pension checks ro which they were previously unaware of being entitled. On this auspicious day November 3, 1939 the Great Sage Adi DA Samraj was born, the conscious descent of Avataric Light, existing in a Condition of continual Radiance and Joy. And when, as an infant, He acquired the capability of language, He gave a name to this Condition, calling it simply “the ‘Bright’”. His naming of the “Bright” was the beginning of His Work of Teaching, Truth and Reality. This year beloved Adi DA’s ‘Jayanti’ (divine birthday) is especially auspicious as it synchronizes with the start of the Hindu Diwali and New Year, and a unique solar eclipse as well. Diwali, which starts the New Year for many, is the largest and the brightest of all Hindu festivals. Known as the festival of LIGHT, it’s marked by four days of celebration that literally illuminates India and the world with its brilliance.